The 2009 Olympiad took place in Cambridge, England. The entire process began with a screening test. Accordingly, around 200 high school students from the North Jersey section were nominated by their teachers and given a 1st level screening test at FDU Florham in mid March. 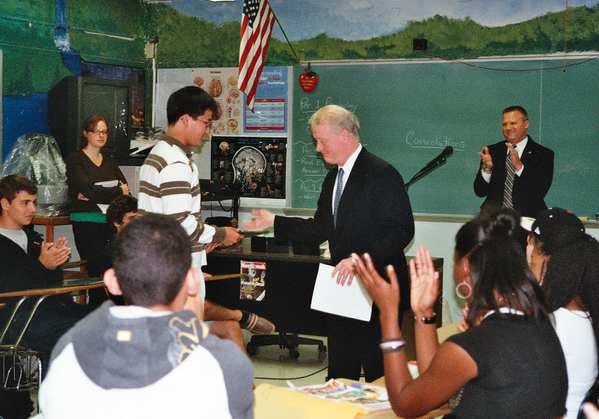 From these, a dozen or students were qualified to go on to the 2nd level, the Advanced Test. 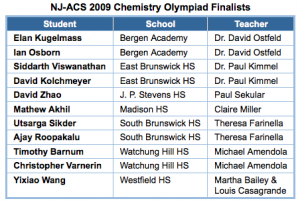 Below are the nine North Jersey ACS students who competed in the Advanced Test for 2009. The picture was taken at Fairleigh Dickinson University during the five hour exam. Twenty students from the ACS sections across the country attended a two week study camp at the Air Force Academy in Colorado. From there, four competed in the International Chemistry Olympiad. Left to right back row: Mathew Akhil, Madison HS, Christopher Varnerin, Watchung RHS, Yixiao Wang, Westfield HS,. Front row: Siddarth Viswanathan, East Brunswick, David Kolchmeyer, East Brunswick HS, Ian Osborn, Bergen Academy, Ajay Roopakalu, South Brunswick HS, Utsarga Sikder, South Brunswick HS, Timothy Barnum, Watchung RHS. This makes seven consecutive years that the North Jersey Section had placed at least one student in the top 20, and we have placed 2 in each of the last 5 years. Congratulations to students and teachers! 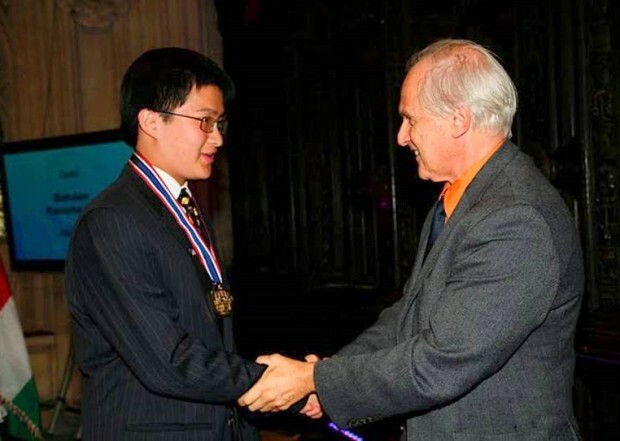 Subsequently, Yixiao Wang, who also placed in the top 20 the previous year, was selected as one of the four members of the U.S. Team to compete in the 2009 International Chemistry Olympiad in Cambridge, UK, in July. He won a gold medal for the U.S. at the Olympiad!